MS Dhoni may be well past his prime, as is seen from his dismal run with the bat in the ongoing tenth edition of the Indian Premier League, but the former Indian captain remains one of the biggest stars of Rising Pune Super Giant and the Indian cricket team. His wicket keeping skills are still top notch which makes him indispensable in the starting line up. His popularity is such that even when he is not playing, he would be one of the most in demand cricketers in the world. 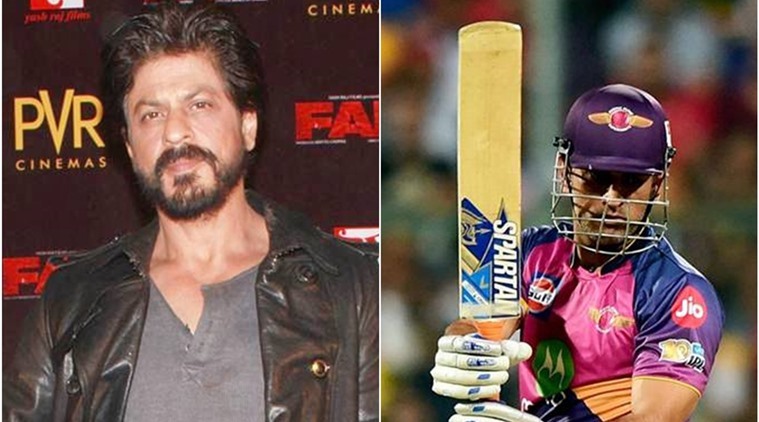 This is evident from what Bollywood superstar and Kolkata Knight Riders co-owner Shah Rukh Khan had to say about buying Dhoni for his team. “Yaar main toh usko apna Pyjama bech ke bhi kharid lun, wo aaye toh auction mein (I’m ready to sell my pyjama for buying MS Dhoni but that can happen only when he is available for auction right? ),” Shah Rukh is quoted as saying by Sporstwallah. Shah Rukh may have his chance next season when the contracts of all players playing are up for renewal. As it stands, it means that the likes of MS Dhoni and Virat Kohli will be in the auction for the highest bidders. Needless to say, quite a few records are set to broken in next year’s IPL auctions. MS Dhoni may have had a patchy season with the bat but he seems to have found the finishing touch of old when Rising Pune Supergiant beat Sunrisers Hyderabad. Dhoni led RPS to victory scoring 61 off 56 balls(THE INDIAN EXPRESS,2017).